YouTonics Sport is a great blend of protein and BCAAs that go together perfectly to enable you to always perform at your best and stay on top of your game. YouTonics Sport and their mix of Tri-Optimized, high collagen protein concentrate and BCAA-complex formula is scientifically proven to improve your joint and muscle health. It also boosts your recovery time as well as your performance; both physically and mentally. How does YouTonics Sport Maximised Physical Performance? Exercise makes you tired because it results in serotonin. YouTonics Sport reduces the amount of serotonin that exercise generates, enabling you to go harder for longer and boosting your physical performance. Protein is the building block of muscle and the building block of proteins are BCAAs. They also speed up the recovery time of muscles by repairing torn muscles. This reduces the effects of Delayed Onset Muscle Soreness, or DOMS, the reason that your muscles hurt after a workout. The collagen in YouTonics boosts the production of Human Growth Hormone (HGH) which is used to build and retain muscle tissue. YouTonics Sport works to create new muscle and stop old muscle from breaking down. The collagen also helps your tendons stay flexible to preserve your joint mobility. BCAAs also work to protect and maintain the cartilage on your joints. When you strengthen the tendons and cartilage you improve joint mobility and lubrication. This means that your joints hurt less after a workout and aren’t damaged. What Goes in to YouTonics Sport? Collagen protein is one of the main ingredients in YouTonics Sport. Collagen is the most common protein in the body as nearly a quarter of all the proteins in your body are collagen. It also really boosts your performance in sports. Eating one ounce of red meat will give you 3 to 8 grams of protein but YouTonics gives you 10 grams of protein in a 30 gram, 70 calorie, serving. This is because YouTonics uses a specialised system to deliver only hydrolysed collagen with no extra fat or sugar lumped in. There are three main branched chain amino acids in YouTonics Sport’s BCAA –complex formula. These are L-leucine, L-valine, and L-isoleucine. These are three amino acids that your body actually can’t produce but does need. 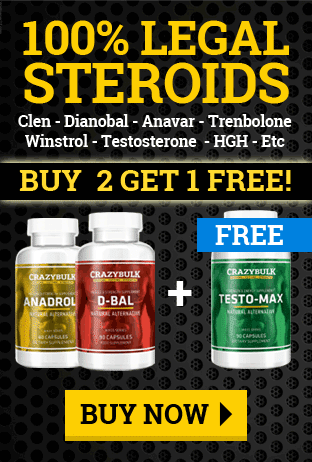 These BCAAs have a number of benefits though the ones you’re most interested in are the building and maintenance of muscle, and providing you with the energy to get through your workouts. As well as reducing soreness after your workout. 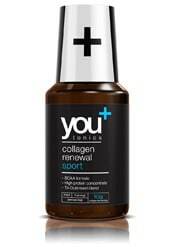 One benefit YouTonics has over other collagen supplements is that you don’t need to take in a lot just to absorb some. YouTonics uses a fast acting liquid delivery system to ensure that collagen is absorbed into the skin quickly. It also comes in a delicious mango and passionfruit flavor. Each bottle of YouTonics Sport contains 270ml (9 servings), while each serving contains 10g of Collagen. Simply shake well between each serving. For maximum results, take one 30ml measure just 30 minutes before sleep. Is YouTonics Sport the Right Choice for You? YouTonics Sport is designed for people who are serious about sports and fitness. It is designed with them in mind. The YouTonics formula and careful blend of high protein collagen and BCAAs is ideal for athletes, bodybuilders, gym goers, and people who enjoy playing sports casually. It keeps you performing at your full potential. When you take it you’ll improve your performance and feel less pain and soreness after your workouts, something every athlete could do with. The pain and discomfort you feel after intense exercise is called Delayed Onset Muscle Soreness, or DOMS. It can last for up to a few days after a really intense workout. This is caused by really small muscle fiber tears caused by exercise. The protein from your diet repairs the tears and builds new muscle. DOMS occurs when there are too many muscle tears for the protein you have to handle. Taking in more proteins, such as the proteins in YouTonics, helps to keep BOMS away by making sure you have enough protein to repair and build your muscles. More protein means less DOMS. Less DOMS means that you recover faster and can hit the gym again quicker. YouTonics is risk free thanks to the 60 day money back guarantee included. You have peace of mind knowing that if the YouTonics Sport drink doesn’t work how you would like you can get your money back. This guarantee also applies to other BauerNutrition special savings meaning you can purchase multiple packages and try them for yourself with no risk for 60 days.